If you have a hard time wrapping your head around exactly what is Target’s latest card-meets-toy, it’s probably because you’ve never seen anything like it before. 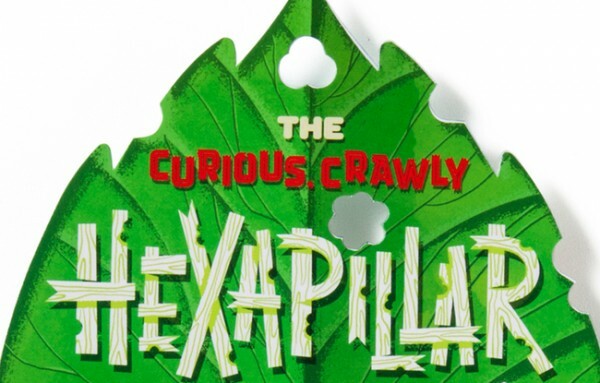 An impressive addition to Target’s 2,000+ gift card archive, the Hexapillar gift card is a curiously crawly robotic caterpillar that does more than just crawl—it flies. 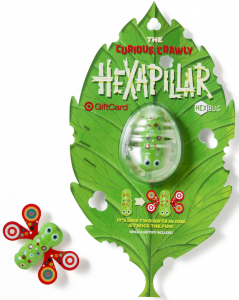 The gift card/bug is a creative collaboration between the design teams at Target and HEXBUG, which specializes in micro robotic creatures (they even won the renowned Specialty Toy of the Year award at the 2012 Toy of The Year Awards!). Derived from the HEXBUG Nano—the tiny autonomous robotic critter that behaves like a real bug—the Hexapillar features a caterpillar that transforms into a butterfly. Two gifts in one? We’ll take it! The one-of-a-kind gift card launched in stores last week and can be found in the stationery, toys and electronics department until the end of the year. Founded on the belief that innovation is necessary very early in the design process to produce simple and elegant product designs, the HEXBUG robot family is the brainchild of Innovation First Labs, a leader of robotic toys. To get the full scoop on the one-of-a-kind Hexapillar card, we caught up with Innovation First Labs President Chris Troyak to talk details. How do HEXBUG toys get kids interested in robotics and the science of toys? CT: HEXBUG toys are cute creepy-crawlers that are designed to teach kids something about the science of robotics. We aim to get kids to question what goes into the making each of our HEXBUG toys. Many of our toys have what is called a “guts out” approach, which is where we expose the electronic components within each bug so that they are visible to the naked eye. By exposing the mechanics of each bug, we hope to capture the interest of kids and get them thinking about the science behind the robot. Describe the process of developing the Hexapillar card. CT: Last December, Target came to us to see if we could do something special with one of their exclusive gift cards. 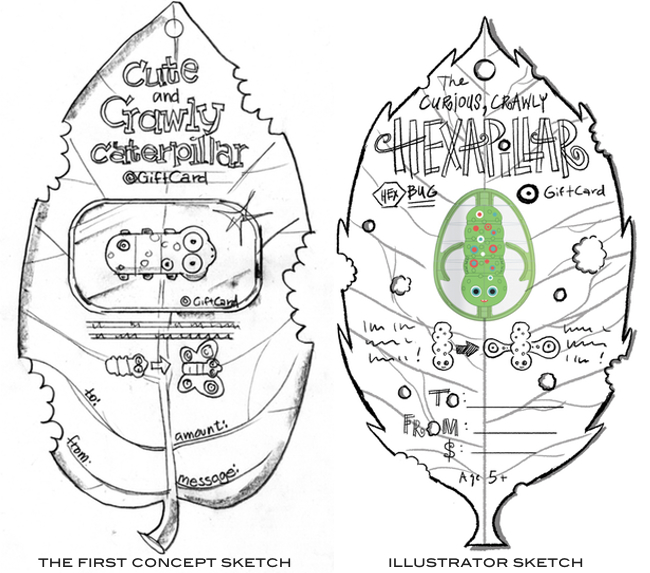 The Target design team came up with the initial concept and design of a HEXBUG caterpillar that would turn into a butterfly. Our engineers immediately got to work, converting an excellent idea into a functioning product. Overall, it was a fantastic exercise in teamwork and we are proud of the finished product. What was the design process like between the Target and HEXBUG teams? CT: It was a collaborative process between Target’s creative designers and Innovation First’s engineers. This joint venture further enhances the strategic partnership that we are so lucky to have with Target and we can’t wait to wow our fans again with future collaborations!